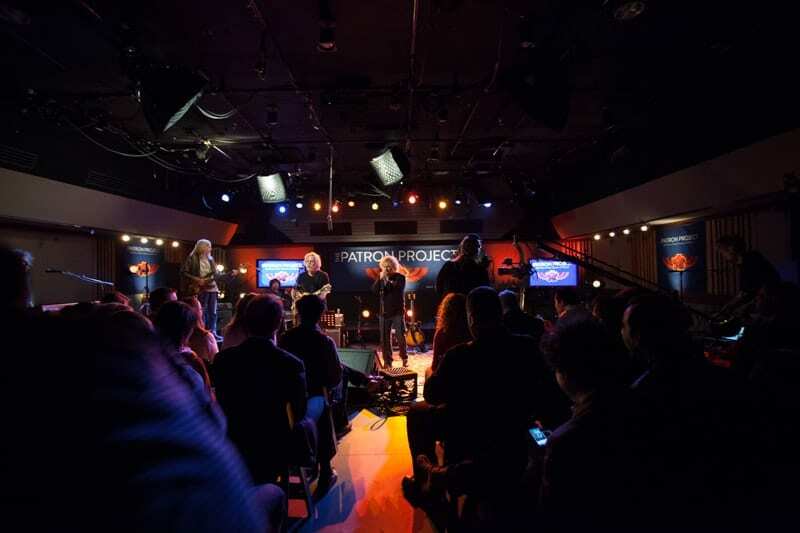 A few weeks ago I had the honor and the privilege of attending a very special launch event for The Patron Project, a collaborative effort from TRI (Tamalpais Recording Institute) the studios owned by The Grateful Dead’s Bob Weir and Swirl an interactive agency in San Francisco. The event was intended to bring together brands and musicians, as well as media and agencies to discuss the idea of patronage. Of course luring in folks with a studio tour and a performance didn’t hurt either. For my part, I was sent to cover the evening for work. My employer was one of the brand sponsors and we were represented on a panel which would discuss how brands and artist can (or should) work together. I couldn’t help but think about how social media had likely impacted marketing in the entertainment space to such a state that there is now a need to define patronage and disassociate it from sponsorship. I was really curious to understand more. 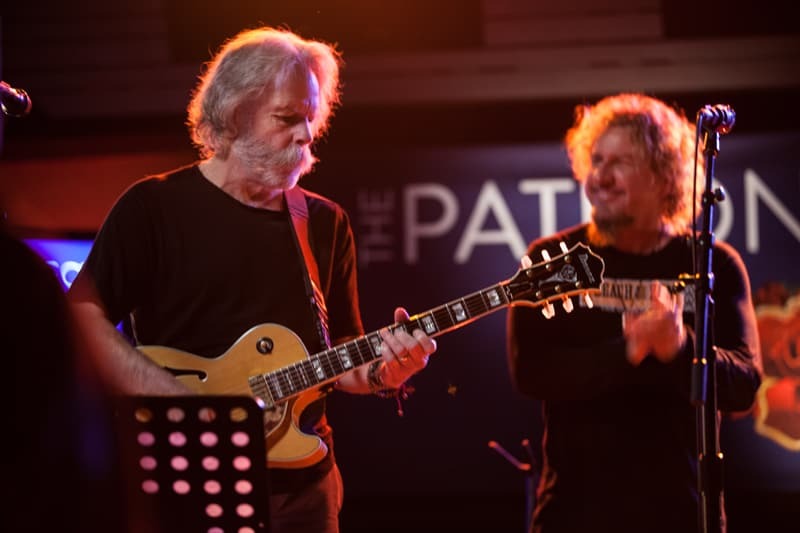 If you had told me that just a few months after seeing where The Grateful Dead had lived in Haight-Ashbury that I would be in the same room with one of its musicians, I would have laughed at you. There is no larger cultural icon in the San Francisco Bay Area than this legendary band. Hippie, square, no matter what your parents (or grandparents) were, if you grew up in the Bay Area (and even beyond) you knew who they were. There is no denying their impact on music and their improv performances lasting hours and hours are, well, groovy! I arrived early in the afternoon to get the lay of the land and to have an opportunity to take some shots of the studio completely empty. 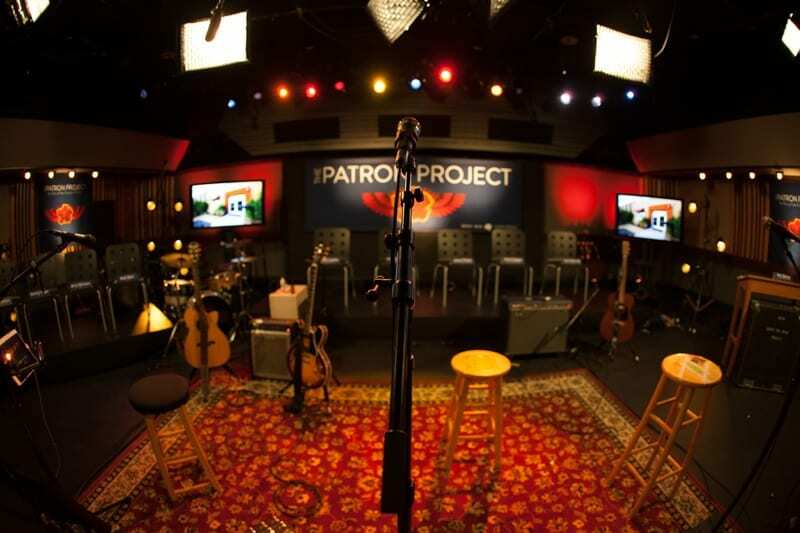 I love the Patron Project logo which made for a beautiful backdrop for the photos I took. It was designed by Stanley Mouse, the original artist for all the Grateful Dead albums. 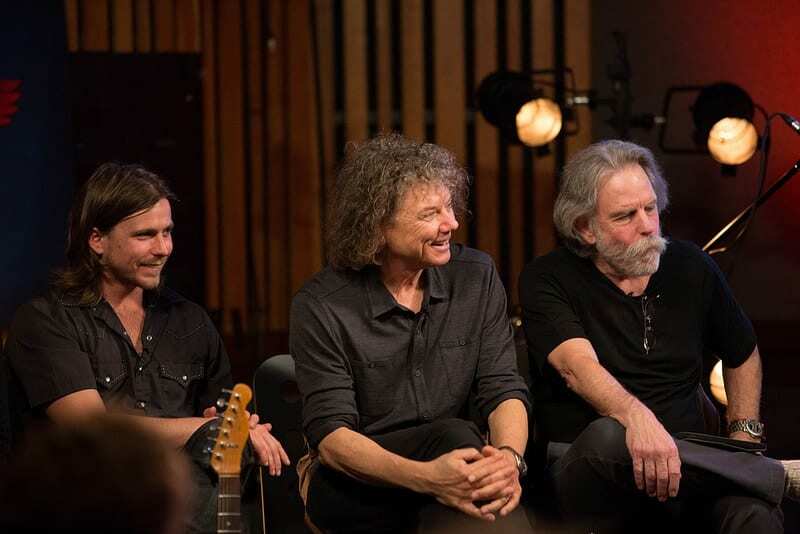 It was at that point that I saw who the other musicians would be for the evening besides Bob Weir. It was a very interesting sampling of generations and genres and I was looking forward to the impending panel. There were spots for Sammy Hagar, Lukas Nelson and Jerry Harrison. The panel was made up of the 4 musicians and brands including Dolby, Red Bull, Pandora and others. Patronage would provide nurturing for up and coming artists and give them an opportunity to succeed in the long term. As Mr. Weir put it, “Ultimately time is an artist’s capital,” it’s the reason why bands need to be subsidized and not just given a pile of money to wear a t-shirt. 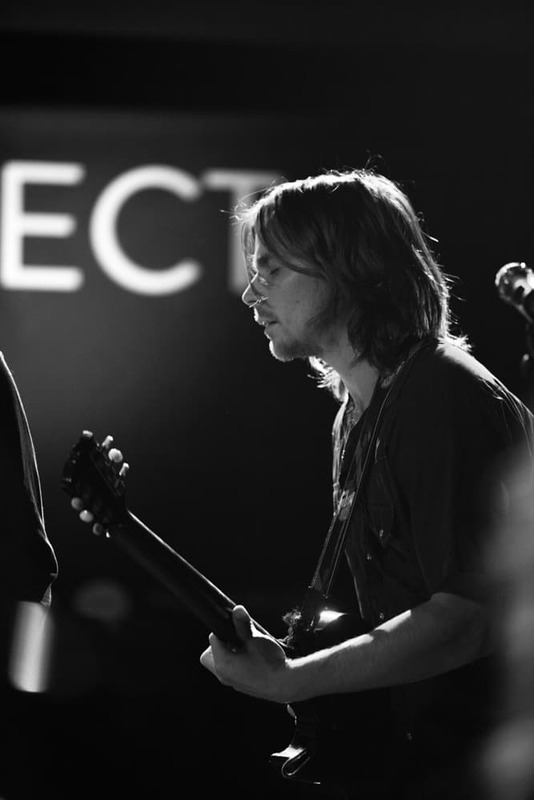 Brands who are infinitely more in-touch with technology need to provide guidance to artists on things like social media, a statement made by Lukas Nelson. I found Lukas to be very intelligent on the topic and at 25, representative of the age of the newest generation of artists, although as the son of Willie Nelson, he is not quite in the same camp. Although it was my impression that he is very tuned into the needs of the community. He was also the one to start a flurry of conversation about the lack of funding for the arts in schools which made me send secret good thoughts to my friend Jennifer of Are You There God, It’s Me Generation X who fights that fight every day for the Oklahomans for the Arts organization. 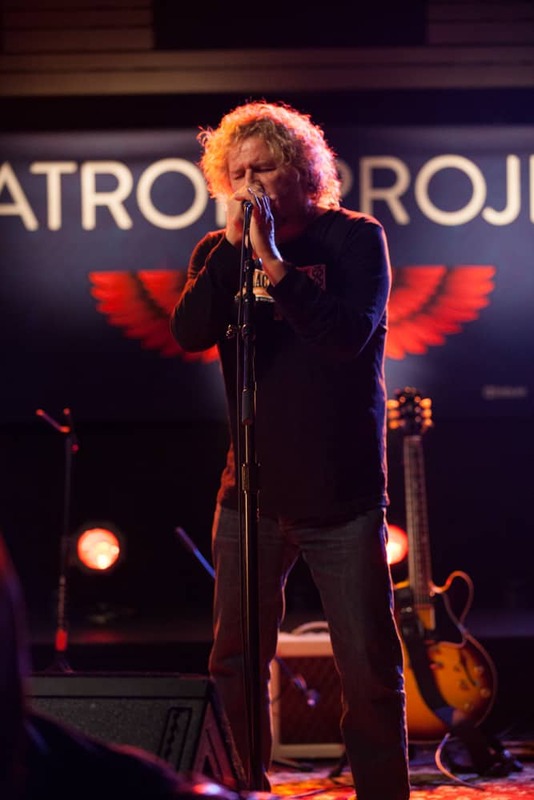 It has been a long time since I had paid any attention to Sammy Hagar. Too bad for me. He is funny and irreverent and as talented as ever. During a break between the panel and the jam session, I got to speak to Joel Selvin the award-winning journalist for the San Francisco Chronicle who is the author of Sammy’s best selling biography Red: My Uncensored Life in Rock as well as others on The Grateful Dead. He has covered the pop music scene since 1970. I can tell you he was so interesting to have a drink with! Having just returned from the GRAMMYs Rehearsals where I did not recognize much of the music, it was a real treat to spend over an hour listening to some oldies that I could absolutely loved including Mustang Sally! There had been limited rehearsal in the afternoon prior to the panel so these guys were basically winging it. But being the pros that they were, it didn’t matter and the 50 odd people in the room (including me) loved every minute of it! Sammy had to leave three songs it (another obligation?) but took the lead on the vocals while he was there. He still has it! However, the leader of the band was definitely Bob and you there was a deep respect for him coming from all the musicians. It is his passion for technology that drove the creation of TRI, a truly state-of-the-art studio. It is his passion for music and community that drives his desire to elevate how brands can work with current and future generations of artists and foster well-being between the constituents. And it is his passion for entertainment that keeps him plugging along year after year. The biggest surprise of the night was Lukas Nelson. Wow, is he talented! A fantastic guitar player and a wonderful voice that shifts between rock, blues, bluegrass and country effortlessly. He is not hard on the eyes either! 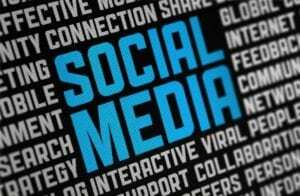 Being a an advocate for social media as well as working in the profession itself, I am cognizant of the balance that is needed between brands, bands and fans. While social media has allowed fans to have more direct and authentic access to the musicians they love, the brand/band dynamic hasn’t always worked out. Don’t get me wrong, it is not always inherently evil, a lot of people have benefited from sponsorship, but I think the time has come where brands (and older established bands for that matter) start to give back in a selfless manner. Deeper relationships need to be foraged and cultivated and more attention to education of the arts needs to be granted. On one hand, if funding continues to be slashed for the arts in schools, the only place to make up the funding will be for brands to come in and fill the gap. Until then, I am really keen to see how The Patron Project succeeds as I think they are focused on the right things for the future! How about you? What do you think of patronage versus sponsorship? How has social media helped or hurt? Loved the post,keep em coming. Beautiful photos, you are very talented!!! Geez, everything you post makes me want to take over your life. How EXCITING!! Being a awoman of a certain age, I certainly remember the Grateful Dead. I would absolutely swoon to go to this. Thanks for the great coverage. @Donna, Bob Weir was great in person, more fun than that was all the stories that people told about him during the cocktail reception! WOW!!!!! Beautiful photographs, and very detailed coverage. You do an exceptional job. Social Media has helped alot. @Magdalena, thanks for the compliment! Loved this post – you have a very exciting life. I think it’s a great idea! Looks like everyone had a great time there. I’m jealous! 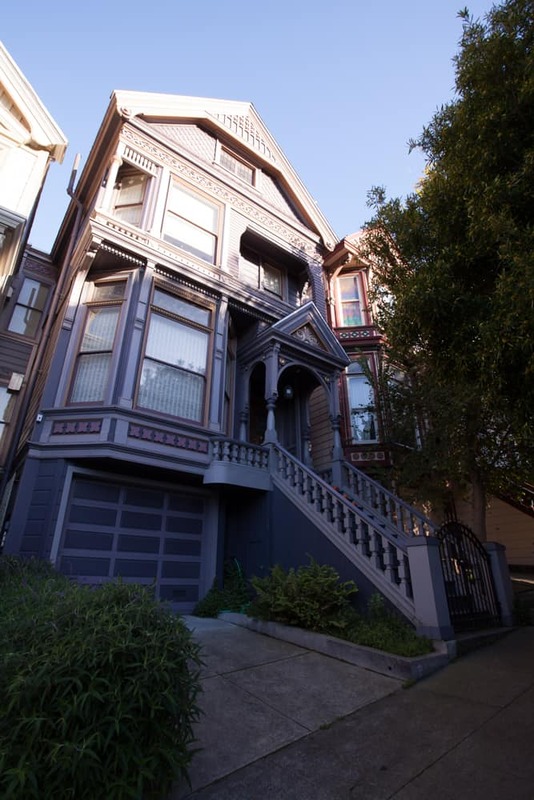 I think the photos are awesome, especially the picture of 709 Ashbury in San Francisco. Good reading also. Keep up the good work. Great photos! This would have been very cool! That is an extremely well written article. I’ll make sure to bookmark it and return to read more of your helpful information. Thank you for the post. I’ll definitely comeback.